You could tell from today’s discussion, that Boren is for adding BYU. So, from that we can first conclude that Boren’s reasoning has convinced Bowlsby! GREAT NEWS FOLKS! Taking aim at Texas! (BamaCougJan 26, 5:47pm). Bowlsby was flat-out lying a couple of days ago when he said they weren’t looking at “who” yet or vetting specific candidates because they haven’t decided the “if” of expansion. In that link I argue that Boren has Bowlsby on-board to go towards expansion with a main goal of somehow folding in the LHN into the new BigXII Network. Next, he mentions: “What’s their fan base?” with a follow up on the related “economic impact.” Is there anyone who could argue that there is any non-P5 school that beats out BYU’s fan base and related economic impact? 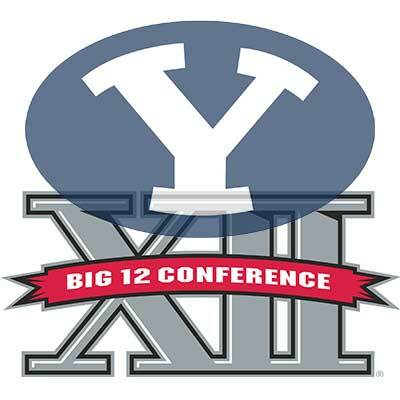 Score one point for BYU in the expansion game. One thing that has me so frustrated and angry at TCU is that they defnitely “diluted the BigXII soup” by coming in, but are now saying “Ten is a beautiful number” and don’t want to expand. Hopefully, as a new kid on the block, they can be shamed into shutting up and falling in line by some of their bigger brothers on this one. The sheer hypocrisy of their current position is laughable. The last phrase is downright scary IMO. Who wouldn’t have voted to add Louisville? Especially with WVU just added. This has me worried that just a couple of stupid holdout member schools could “blackball” BYU and leave us pining for inclusion for years to come. However, Boren would not list any names. When asked if there were schools no one was talking about that could emerge, he said reporters probably were already speculating on the right six or seven schools. So BYU is definitely on their list since he specifically mentions “other circumstances” as a sepreate point to “other conferences.” We have NOT been ruled out as a possibility as many of the most extreme pessimists of CB have said. If the Big 12 expands, it would be looking for schools that are academically and athletically strong with good fan bases. Boren said candidates would need to be additive and not dilutive to media negotiations. He was asked if big markets would fit the Big 12 profile. So he doesn’t seem to praise getting big markets just because they’re big and even adds the qualifier that you have to “have a good market presence” within that big market (code for “Hey shut-up TCU, you’re only the #3-4 team in your own hometown” and “Don’t get your hopes up Houston”.) Then he spends a fair amount of time pretty much saying “Hey, BYU is a national brand … a smaller scale Notre Dame.” He does say “schools” and not just “there is A school” … but I’m not losing any sleep over that. And then there’s this rambling portion where we get a glimpse at just how dysfunctional the current BigXII family is. Would there be roadblocks to expansion? Quite honestly, this factor is the wild-card that has me terrified. One powerful grudge-holder (TCU), along with one well-positioned bigot (??? … I’m definitely not naming names), and one selfish egomaniac (UT and their LHN) could destroy this whole bright future for BYU in the BigXII. My only hope is that these obvious hold-outs can be either shamed, coerced, or negotiated with to bring them on board. Their future success and stability may be on the line just as much as BYU’s will be.